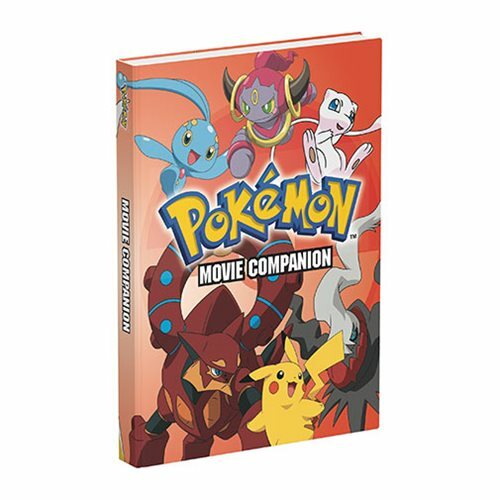 Revisit the exciting stories and classic battles of more than a dozen favorite Pokemon films with the Pokemon Movie Companion Hardcover Book! This hardcover book is the ultimate guide to the Pokemon movies, featuring in-depth coverage of the films. Including movie synopses, including plots, locations, heroes and villains, Pokemon pals, along with special details unique to each film. Relive the epic battles and climaxes of your favorite Pokemon movies today! Learn all about the legendary and mythical Pokemon in the movies, including Pokedex entries for each. The 272 page hardcover book measures about 9 1/2-inches tall x 7 2/5-inches wide.